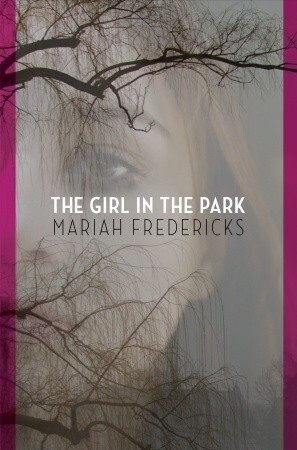 The Girl in the Park by Mariah Fredericks. Publication : April 24th 2012 by Random House Children's Books. When Wendy Geller's body is found in Central Park after the night of a rager, newspaper headlines scream,"Death in the Park: Party Girl Found Strangled." But shy Rain, once Wendy's best friend, knows there was more to Wendy than just "party girl." As she struggles to separate the friend she knew from the tangle of gossip and headlines, Rain becomes determined to discover the truth about the murder. Written in a voice at once immediate, riveting, and utterly convincing, Mariah Frederick's mystery brilliantly exposes the cracks in this exclusive New York City world and the teenagers that move within it. The Girl in the Park is another book that was hard to rate. As the blurb mentions, the story begins with Rain receiving a frantic phone call from Wendy's mother at seven in the morning because she hadn't returned from a party she attended the previous night. Trying not to assume the worst, Rain reassures Wendy's mother that she's probably fine and goes about her day, only to find out later that she was found dead in the park. Wendy and Rain used to be best friends but they haven't really spoken or hung out in a while as they've drifted apart, like with most high school friends, but something felt off about her death to Rain which leads her to investigate it. When I began reading The Girl in the Park, I wasn't sure I'd be able to get used to Mariah Fredericks' writing but I did and I'm glad because this book was really good! I'll admit that it was the mystery element mentioned in the blurb that initially caught my attention and The Girl in the Park certainly met my expectations. High school can be hard for some, we all know that but in Rain and Wendy's case, 'hard' is an understatement. Rain's the shy, quiet girl with the Speech Disorder who was mostly bullied and made fun of. Wendy's loud, wild, and a mostly happy girl who was full of life. When Wendy first moved from the suburbs to the fancy school in the city, she tried her best to make friends, particularly with the 'cool' kids but that just led her into a world of trouble. Although they made an unlikely pair, Rain and Wendy were best friends for a while. Peer pressure, fitting in and being accepted is the stuff of nightmares for most teenagers in High School and Fredericks has gone all out in exploring the dark and gritty side of it. I loved that the author decided to write the story about about two girls who're extreme opposites and yet social outcasts - Wendy, who was known for her promiscuity and Rain, the quiet girl who talks weird - while still managing to bring out their strengths. It comes down to this - a lot people do bad stuff, some intentional while others not, but does it necessarily make them a bad person? Did Wendy get what she deserved? Mariah Fredericks has done an amazing job with the characters and the mystery surrounding Wendy's murder without being afraid to deal with the bad stuff. She made no compromise with the story and dealt with various teen issues without sugar-coating it. I loved that! The Girl in the Park was like ripping off a band-aid. All the bad stuff's out there, all at once, for everyone to judge and it made me question how I would've felt if I had switched places with Rain or Wendy. This is a book that's almost impossible to put down - a transfixing novel with deep, dark characters and a fast, suspenseful, thrilling storyline that literally gave me chills. This one was a four for me as well. These books are totally hard to rate though. It's so weird to be like "I really liked this. She suffered so much! Yay!" So yeah. Totally get it. JSYK, on your reviews list, you have the author's name as Maria. I highly recommend this book, particularly to those convinced that young adult authors lack the writing chops of adult fiction authors. It's smart, engaging, and thoughtful, with enough twists and turns to generate suspense and challenge readers. I'm eager to see what Fredericks does next.